In the summer of 2010, photographer Brandon Stanton set out to create a photographic census of New York City. Armed with his camera, he began crisscrossing the city, covering thousands of miles on foot, all in an attempt to capture New Yorkers and their stories. The result of these efforts was a vibrant blog he called “Humans of New York,” in which his photos were featured alongside quotes and anecdotes. The blog has steadily grown, now boasting millions of devoted followers; and in the summer of 2014, the UN chose Brandon to travel around the world on a goodwill mission that had followers meeting people from Iraq to the Ukraine to Mexico City via the photos he took. Ever since Brandon began interviewing people on the streets of New York, the dialogue he’s had with them has increasingly become as in-depth and moving as the photo themselves. 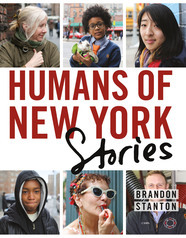 Humans of New York: Stories presents a whole new group of humans, complete with stories that delve deeper and surprise with greater candor. Brandon Stanton is the creator of the #1 New York Times bestselling book Humans of New York as well as the children’s book, Little Humans. His photography and storytelling blog, also called Humans of New York is followed by over fifteen million people on several social media platforms. He is a graduate of the University of Georgia and lives in New York City. 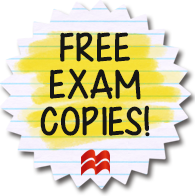 This entry was posted in Activists & Activism, American Experience, Diversity, Non-Fiction, Social Problems & Solutions and tagged 2016, 2017, American Experience, brandon stanton, diversity, humans of new york: stories, nonfiction on 10/19/2016 by macmillanacademic.